2K.N. Toosi University of Technology, Tehran, Iran. The CCC-r chart is developed based on cumulative count of a conforming (CCC) control chart that considers the cumulative number of items inspected until observing r nonconforming ones. Typically, the samples obtained from the process are analyzed through 100% inspection to exploit the CCC-r chart. However, considering the inspection cost and time would limit its implementation. In this paper, we investigate the performance of CCC-r chart with variable sampling interval (CCC-rVSI chart). The efficiency of CCC-rVSI chart is compared with fixed sampling interval (FSI) scheme of CCC-r chart (CCC-rFSI chart) and CCCVSI chart. The comparison results show that CCC-rVSI chart is more efficient than the CCCVSI chart in reducing the average time to signal (ATS) and also CCC-rVSI chart performs better than CCC-rFSI chart. In addition, some sensitivity analyses are performed to illustrate the effect of the input parameters on the performance of CCC-rVSI chart. Amin, R. W., and Miller, R. W., (1993). "A robustness study of X charts with variable sampling intervals", Journal of Quality Technology, Vol. 25, pp. 36-36. Aparisi, F., and Haro, C. L., (2001). "Hotelling's T2 control chart with variable sampling intervals", International Journal of Production Research, Vol. 39, No. 14, pp. 3127-3140. Calvin, T., (1983). "Quality Control Techniques for" Zero Defects", IEEE Transactions on Components, Hybrids, and Manufacturing Technology, Vol. 6, No. 3, pp. 323-328. Castagliola, P., Celano, G., and Fichera, S., (2006). "Evaluation of the statistical performance of a variable sampling interval R EWMA control chart", Quality Technology & Quantitative Management, Vol. 3, No. 3, pp. 307-323. Castagliola, P., Celano, G., Fichera, S., and Giuffrida, F., (2006). "A variable sampling interval S2-EWMA control chart for monitoring the process variance", International Journal of Technology Management, Vol. 37, pp. 125-146. Chen, Y.-K., (2013). "Cumulative conformance count charts with variable sampling intervals for correlated samples", Computers & Industrial Engineering, Vol. 64, No. 1, pp. 302-308. Chen, Y. K., Chen, C. Y., & Chiou, K. C., (2011). "Cumulative conformance count chart with variable sampling intervals and control limits", Applied stochastic models in business and industry, Vol. 27, No. 4, pp. 410-420. Epprecht, E. K., Costa, A. F., and Mendes, F. C., (2003). "Adaptive control charts for attributes", IIE Transactions, Vol. 35, No. 6, pp. 567-582. Goh, T., 1987. A control chart for very high yield processes. Quality Assurance, 13(1), 18-22. Kudo, K., Ohta, H., and Kusukawa, E., (2004). "Economic Design of A Dynamic CCC–r Chart for High-Yield Processes", Economic Quality Control, Vol. 19, No. 1, pp. 7-21. Kuralmani, V., Xie, M., Goh, T., and Gan, F., (2002). "A conditional decision procedure for high yield processes", IIE Transactions, Vol. 34, No. 12, pp. 1021-1030. Lee, M. H., and Khoo, M. B., (2015). "Variable sampling interval cumulative count of conforming chart with runs rules", Communications in statistics-simulation and computation, Vol. 44, No. 9, pp. 2410-2430. Lee, M. H., and Khoo, M. B., (2017). "Combined Double Sampling and Variable Sampling Interval np Chart", Communications in Statistics-Theory and Methods (accepted manuscript). Lee, T.-H., Hong, S.-H., Kwon, H.-M., and Lee, M., (2016). "Economic Statistical Design of Variable Sampling Interval X Control Chart Based on Surrogate Variable Using Genetic Algorithms", Management and Production Engineering Review, Vol. 7, No. 4, pp. 54-64. Liu, J., Xie, M., Goh, T., Liu, Q., and Yang, Z., (2006). "Cumulative count of conforming chart with variable sampling intervals", International Journal of Production Economics, Vol. 101, No. 2, pp. 286-297. Luo, Y., Li, Z., and Wang, Z., (2009). "Adaptive CUSUM control chart with variable sampling intervals", Computational Statistics & Data Analysis, Vol. 53, No. 7, pp. 2693-2701. Naderkhani, F., and Makis, V., (2016). "Economic design of multivariate Bayesian control chart with two sampling intervals", International Journal of Production Economics, Vol. 174, pp. 29-42. Noorossana, R., Saghaei, A., Paynabar, K., and Samimi, Y., (2007). 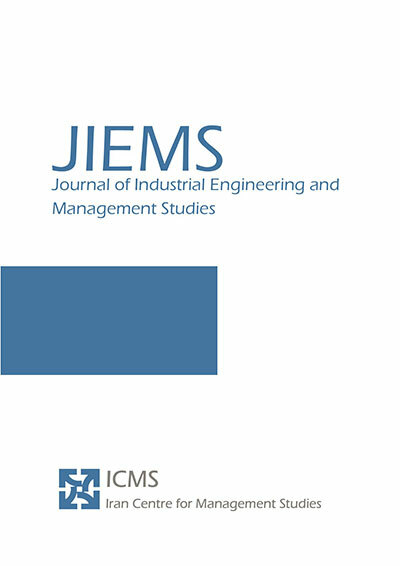 "On the conditional decision procedure for high yield processes", Computers & Industrial Engineering, Vol. 53, No. 3, pp. 469-477. Ohta, H., Kusukawa, E., and Rahim, A., (2001). "A CCC‐r chart for high‐yield processes", Quality and Reliability Engineering International, Vol. 17, No. 6, pp. 439-446. Reynolds Jr, M. R., and Arnold, J. C., (1989). "Optimal one-sided Shewhart control charts with variable sampling intervals", Sequential Analysis, Vol. 8, No. 1, pp. 51-77. Reynolds, M. R., Amin, R. W., and Arnold, J. C., (1990). "CUSUM charts with variable sampling intervals", Technometrics, Vol. 32, No. 4, pp. 371-384. Reynolds, M. R., Amin, R. W., Arnold, J. C., and Nachlas, J. A., (1988). "Charts with variable sampling intervals", Technometrics, Vol. 30, No. 2, pp. 181-192. Runger, G. C., and Montgomery, D. C., (1993). "Adaptive sampling enhancements for Shewhart control charts", IIE Transactions, Vol. 25, No. 3, pp. 41-51. Runger, G. C., and Pignatiello Jr, J. J., (1991). "Adaptive sampling for process control", Journal of Quality Technology, Vol. 23, No. 2, pp. 135-155. Saccucci, M. S., Amin, R. W., and Lucas, J. M., (1992). "Exponentially weighted moving average control schemes with variable sampling intervals", Communications in Statistics-simulation and Computation, Vol. 21, No. 3, pp. 627-657. Shamma, S. E., Amin, R. W., and Shamma, A. K., (1991). "A double exponentially weighted moving average control procedure with variable sampling intervals", Communications in Statistics-simulation and Computation, Vol. 20, pp. 511-528. Vaughan, T. S., (1992). "Variable sampling interval np process control chart", Communications in Statistics-Theory and Methods, Vol. 22, No. 1, pp. 147-167. Villalobos, J. R., Muñoz, L., and Gutierrez, M. A., (2005). "Using fixed and adaptive multivariate SPC charts for online SMD assembly monitoring", International Journal of Production Economics, Vol. 95, No. 1, pp. 109-121. Wu, Z., and Luo, H., (2004). "Optimal design of the adaptive sample size and sampling interval np control chart", Quality and Reliability Engineering International, Vol. 20, No. 6, pp. 553-570. Xie, M., Goh, T. N., and Kuralmani, V., (2012). "Statistical models and control charts for high-quality processes", Springer Science & Business Media. Zhang, M., Nie, G., and He, Z., (2014). "Performance of cumulative count of conforming chart of variable sampling intervals with estimated control limits", International Journal of Production Economics, Vol. 150, pp. 114-124. Zhang, Y., Castagliola, P., Wu, Z., and Khoo, M. B., (2012). "The variable sampling interval X chart with estimated parameters", Quality and Reliability Engineering International, Vol. 28, No. 1, pp. 19-34. Zhou, W., Wan, Q., Zheng, Y., and Zhou, Y.-w., (2016). "A joint-adaptive np control chart with multiple dependent state sampling scheme", Communications in Statistics-Theory and Methods (accepted manuscript).